Every. Single. Day. young people are crashing on friends’ couches, sleeping in their cars or finding shelter on the streets because they have no where else to go. We know that in Australia, 2 out of 5 people experiencing homelessness are under 25. Tonight, that will be 28,000 young people. Closer to home, 25% of the young people we support in Melbourne’s North are living in crisis without stable accommodation, every single day. They face multiple and complex barriers and are locked out of the labor market, out of the private rental market, often placed in the too hard basket. Today is Youth Homelessness Matters Day and it’s time to call it out. Young people deserve more. Young people deserve hope. Young people deserve support. Without judgement, full stop. In conjunction with greater housing stock and access to social housing and a fair private rental system, we need a whole-of-government approach that tackles mental health, unemployment, family violence, education. We need a national plan to end youth homelessness that sees the whole young person. If our politicians and policy makers don’t see a moral reason to act, at least see the economic reason. Investing in young people makes economic sense. We know that every dollar the government funds for employment and social supports, we return $10 to the economy. Prevention and early intervention is key – it’s time for change! To all the young people out there in crisis – We see you. We hear you. We won’t judge you. An open message from our CEO, Ben Vasiliou. 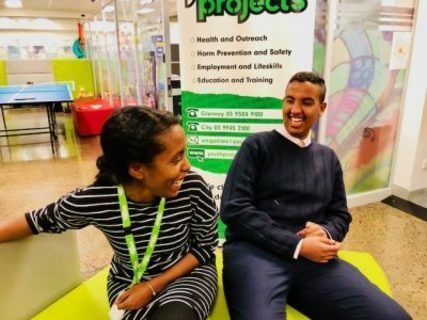 Youth Projects has recently been appointed as one of three Local Partner Organisations for the Victorian Council of Social Services‘ Jobs Victoria Community Traineeship Pilot Program in Hume city in 2019. Jobs Victoria – through the Victorian Department of Economic Development, Jobs, Transport and Resources – has provided funding to Victorian Council of Social Services (VCOSS) and the Future Services Institute (FSSI) to deliver a Community Traineeship Pilot Program for young Victorian job seekers; addressing youth unemployment and increased workforce demand in the community services industry. Victoria is currently experiencing disproportionately high rates of youth unemployment in some parts of the state, including Melbourne (North West), Melbourne (South East) and Bendigo. At the same time, the Victorian community services industry is expanding rapidly with predictions indicating the health and social assistance industry will be the fastest-growing industry in 2017-2022 – contributing approximately 70,000 new jobs to the Victorian economy. This is a wonderful opportunity for our young people and aligns seamlessly to Youth Projects creating jobs in skill shortage areas, whilst acknowledging that vulnerable young people need more help than simply being placed into jobs. Youth Projects will provide holistic, wrap around support to 75 young people and employers residing in the Hume region over the next 2 years with our service centre co-located at the Hume Whittlesea LLEN in Broadmeadows. These traineeships will span across the community services sector and will be designed in a way that builds capacity in the community services industry and develop talent within organisations. Youth Projects will work alongside RMIT to deliver the traineeships and MAS National who will be completing the traineeship contracts as an Australian Apprenticeships Services Network provider. This initiative will pave new pathways for young people, build the future workforce we need in the community services industry and change the lives of young people in the city of Hume. If you would like to apply for a traineeship or be an employer host, please contact us. For more information on the Community Traineeship Pilot Program visit the VCOSS website. Over 55% of young people aged 15 – 21 accessing Youth Projects services have a mental health condition that can be easily treated with early intervention and support. 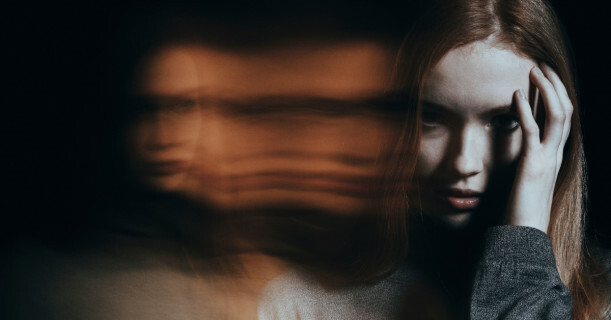 Silos in funding and service delivery are weakening the overall effectiveness of mental health support in its current state. Patchy funding, arcane eligibility criteria and wait lists are making an already tumultuous time even more difficult for people experiencing a serious mental health condition and few services in Victoria manage to deliver comprehensive and timely support. Young people need more tailored, youth-specific services that will help destigmatise help seeking behaviour and improve engagement into treatment. Mental health first aid needs to be introduced as a valued component of education for primary and secondary schools in Victoria. Young people with high risk factors for mental illness are often early school leavers who need community-based, youth-friendly access to care. Homelessness is a risk factor for developing mental illness and mental illness is a risk factor for becoming homeless. Services should be better co-ordinated and genuine wrap-around models of care to effectively address co-occurring problems for young people – those such as substance misuse, unemployment, exposure to family violence, insecure housing and educational advancement. Improved resources for prevention and crisis support. Prevention and crisis support services need to be complimentary, not competitive for funding. Reducing proven risk factors such as social isolation, chronic illness, homelessness and poverty are elements of the systemic change needed to improve mental health in our community. Prevention and crisis support services need to be complimentary, not competitive for funding. 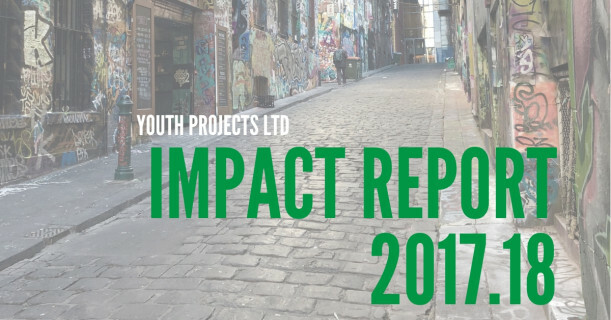 Youth Projects is calling for bipartisan support to address an issue that affects all Victorians, directly or indirectly, every day of the year. Mental health counselling is not an expense; it is a long-term investment in community wellbeing. Talk to your local Member of Parliament, or running candidates, in the lead up to this year’s state election. 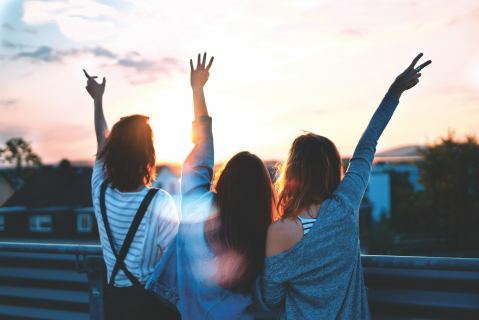 Eastern Melbourne Primary Health Network (EMPHN) is funding new services at local youth services hub ‘EDGE’ to give young people in the City of Whittlesea better access to mental health, and alcohol and other drug (AOD) support services. The 12-month program will boost the availability of mental health and AOD services for young people aged 12-25. Youth Projects and headspace Greensborough will deliver the services through the hub at ‘EDGE’ Whittlesea Youth Services, at Westfield Plenty Valley, Mill Park. This is great news for Youth Projects as we launch YNOT 2.0 in the City of Whittlesea in response to the challenges we’ve identified in the region that young people are facing. These young people face higher reported levels of psychological distress, high rates of family violence and early disengagement from school, but we are ready to help them tackle these challenges and get them back on track. YNOT 2.0 will provide screening, assessment, treatment and referral options for local young people with challenges related to substance use at EDGE (Westfield Plenty Valley), Mill Park. To view the media release, please click here. A collective response to drug overdose remembrance, advocacy and action at Youth Projects. 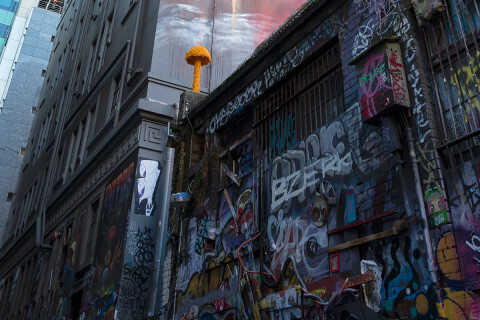 In response to Victoria’s escalating drug overdose burden, Youth Projects are marking International Overdose Awareness Day 2018 at Hosier Lane on Friday 31 August. Youth Projects will be hosting a free community event to commemorate lives lost to overdose, empower community members with the capacity to respond to overdose and to promote the awareness and advocacy necessary to enact change. Starting at 11:30 am, a mural and commemorative space will be carved out on Hosier Lane which the public are invited to attach messages of remembrance and celebration of lives lost. The opportunity will exist for further conservation and referral to appropriate counselling services for people who experience strong feelings and/or memories as a result of the remembrance ceremony. Following speeches from guest speakers, Youth Projects will be hosting a group overdose response (naloxone) training session with those present being invited to partake in the 15-minute training session, where they will be taught how to effectively identify and respond to opioid overdose. The first 30 participants will receive a free naloxone kit. Recognizing that overdose is a community issue that demands a collective response, we encourage attendance by all members of the community. Through collaborative action can we begin to inspire and facilitate more compassionate and effective means of addressing drug overdose. If you have any queries, please contact Tristan Duncan, Overdose Response Project Officer at the Living Room on 03 99452100. We're reaching out to youth in Melbourne's outer north with a new program called YHOP and its on the move too. Youth Projects is delivering the new Youth Services Assertive Outreach Service for Hume City Council called Youth in Hume Outreach Program or “YHOP”. Our Y-HOP team will be fully mobile and highly visible Campervan fitted out with all the mod-cons to engage with young people. We will have a regular presence at local youth hot spots increasing engagement and encouraging young people to find out how they can connect with new avenues to gain skills, jobs, counselling and support. Our new look at Good 2 Go showcases the work we do as a social enterprise sending the message that your coffee matters. Over a period of just 48 hours, the team at Burst Graphics completed this all important make over, worth about $5,000, all pro bono. Good 2 Go began as a trial project in 2013 and continues to grow and develop every year. And according to customer reviews “its so good its great”! With a new menu, lounge and the only genuine opportunity shop in the heart of the city, Good 2 Go delivers on social impact. Our young trainees learn formal skills and accredited training, build their work experience, and most of all, feel a new sense of confidence and self worth. Good 2 Go is just one of our programs that helps people at risk of homelessness get a foothold in the job market. Because early poverty risks life long poverty, our programs intervene as early as possible to help open up new opportunities for disadvantaged youth to reach their potential. And we also make great coffee. Good 2 Go is at 7 Hosier Lane Melbourne, Australia’s premier street art precinct. It’s just a block from from Flinders St station. Open 800 am to 3 pm weekdays, you can also buy clothing, books, shoes and all sorts of unique second hand treasures. We're partnering with Heinz Australia to bring comfort food and much needed funds for the winter. Homelessness has increased in inner Melbourne by 28% and people living in rooming houses, overcrowded short term accommodation and rough sleeping are doing so hard yards. Our after hours night nursing team have been distributing soup and beanies, while a special Heinz Food Truck will be in Federation Square on Thursdays serving soup with all funds going back to our services. 7 percent of adult residents in the CoM worried about whether their food would run out before they got money to buy more. A quarter of these respondents reported that they felt concern about putting enough food on the table on a monthly basis. Six percent reported that they or other adults in the household cut the size of their meals or skip meals as a way of coping with not having enough money for food. Twenty nine percent of these respondents reported that this was happening on a monthly basis. 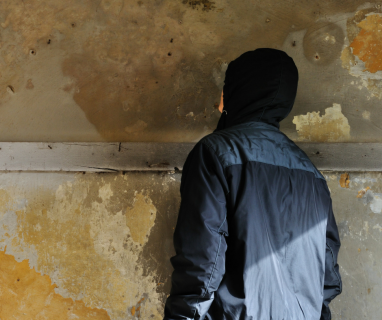 For individuals and families, homelessness makes it difficult to engage in education and training and can leave people vulnerable to violence, victimisation, long term unemployment and chronic ill-health. 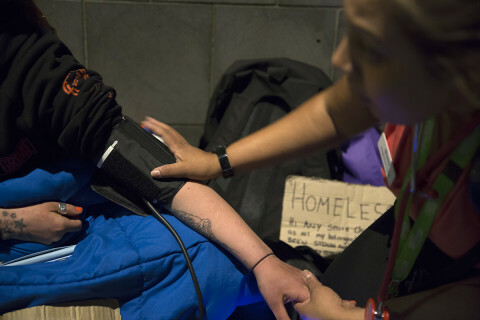 Some health problems are a consequence (but can also be a cause) of homelessness, including poor nutrition, poor dental health, substance misuse, and mental health problems. Our services help prevent people at risk of homelessness falling further into poverty with specialist support to go back to education, learn new skills, find a job, access free medical care, mental health counselling and genuinely feel a valued part of our community. You can donate funds to support people who are homeless, cold and hungry in Melbourne at http://www.youthprojects.org.au/donate Donations over $2.00 are tax deductible.